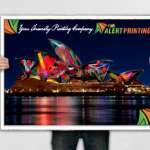 Consequently Alert Printing team will actually help you to design & Print your A0 Poster to ensure that it is as professional as possible. We Also offer other sizes like A1, A2, A3 & Custom size. Because these large format posters are printed on high quality paper probably on a photo paper that can be used for presentations and exhibitions backdrop, making advertising at your business easy. 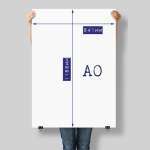 The size “A0 i.e. 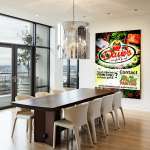 841 mm x 1189 mm” display is highly visible so customers can be alerted to your display and product in mind. Finally, set-up requires no time at all or tools, making this the perfect display for company presentations, retail stores, shopping centers, or even trade shows.